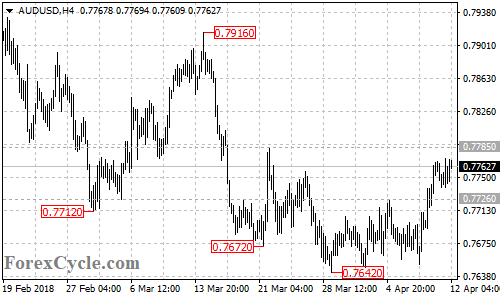 AUD/USD is now facing 0.7785 resistance. A breakout of this level could trigger further upside movement towards 0.7820, followed by 0.7860. Support is at 0.7725, only a breakdown below this level would indicate that the upside movement from 0.7642 is complete, then another fall towards 0.7650 could be seen.